Let’s start with the good news. 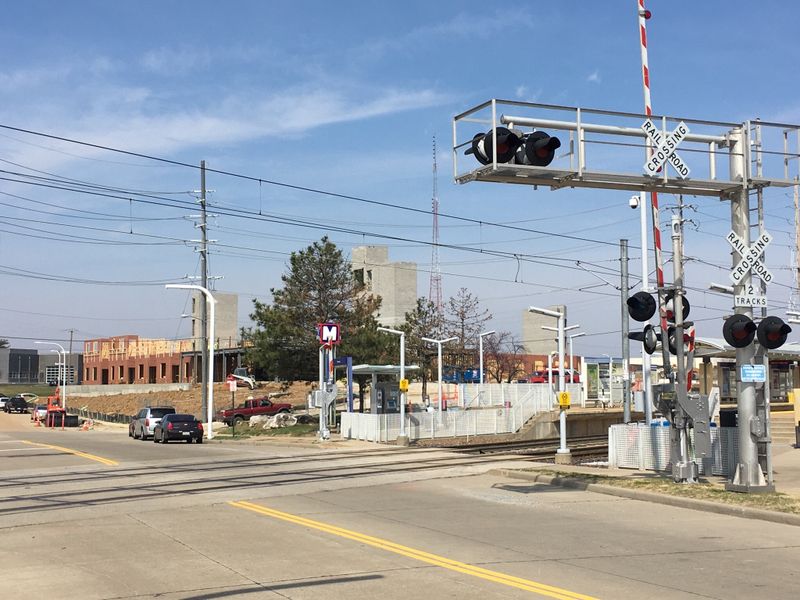 The Sunnen Station development appears nearer to achieving its mixed-use aspirations, and nearer to offering some semblance of transit-oriented design. 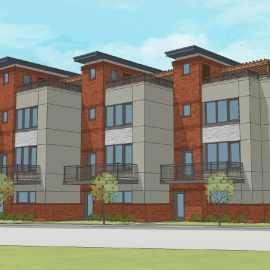 A plan approved by the City of Maplewood would introduce a total of 232 apartments with 58 1BR and 174 2BR units with monthly rents from $1,000 to $1,600. And it’s possible more residential, including a retirement community, could be coming. But the current state of the site is awful. It is truly difficult to conceive of a worse land use plan adjacent to a light rail transit line: a car dealership. And if the irony of transit-oriented design in St. Louis weren’t yet dead, we now learn via 40 South News that a second car dealership is planned for the Sunnen Station site. Of course, these are oriented to take advantage of high-traffic Hanley, a major north-south county thoroughfare. This week, Maplewood’s Design & Review Board will consider the demolition of an existing building at 3000 S. Hanley Road, and design approval of a new Porsche dealership on the site. Maplewood will also consider 100% abatement for the first 10 years, and 50% for the next five years on all of the 21-acre Phase II. We’ve panned the Sunnen Station development more than once on nextSTL. 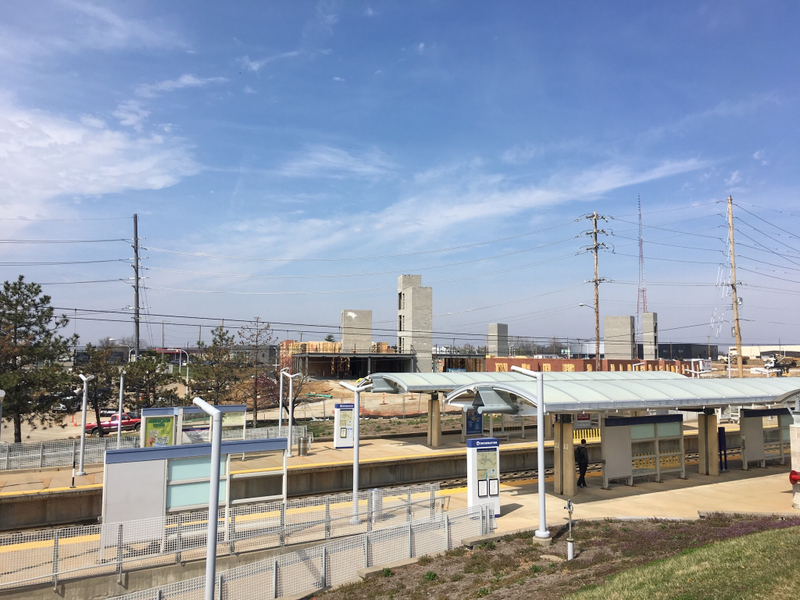 The short of it is that the MetroLink Blue Line Sunnen Station opened in 2006 (the Maplewood Station sits a short distance to the north). Since then, dozens of adjacent homes and apartments were demolished, clearing the site. Today, nine years later, only a 4.8-acre Mini car dealership with 420 parking spaces has been built on the 30-acre the site. Development on this scale is difficult to pull off. In a perfect world, Maplewood would have re-zoned the land within a short walk of MetroLink Station to require more dense development. In fact, this should really be a requirement of any municipality for any future rail expansion. It’s a short, if unpleasant, walk to downtown Maplewood from the site. With a little foresight, Sunnen Station could have been a new Maplewood neighborhood. It would appear that the mantle of urbanizing inner ring suburb will remain up for grabs in St. Louis. Sadly, Maplewood has done nothing to connect its walkable downtown to transit. The city has allowed the major intersection near its high school to become more dangerous, and at the same time leaving behind a vacant gas station. Oh, and its budget may take a hit from losing the big box retail wars with neighboring municipalities. Sunnen Corporation, at the north end of the development site (7910 Manchester Roard, owns the development site and completed clearance of existing homes after aggregating the site through purchases. 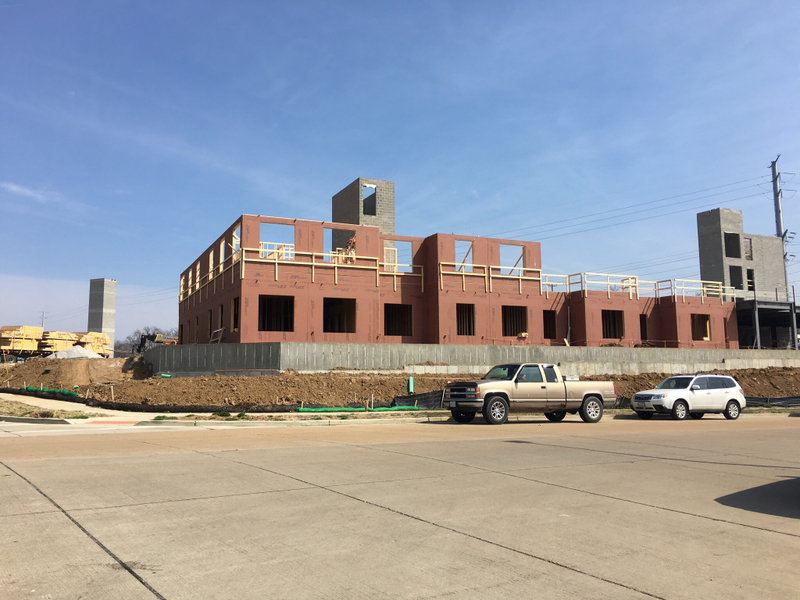 Cozad Commercial Real Estate is the site developer. 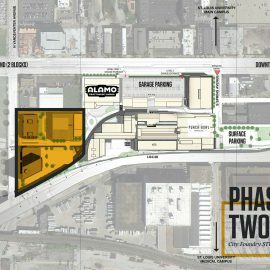 The site plan has been through several revisions, with an early vision showing more density, including hotel development. So far, the market has tended toward the suburban-form car dealership fronting Hanley Road. Just to the north in Richmond Heights a neighborhood was recently demolished to build a big box Menard’s home improvement center, which will sit between a Lowe’s and Home Depot. To the south, MoDOT keeps threatening to build a highway, the “South County Connector“, that will bring more pass-through traffic. 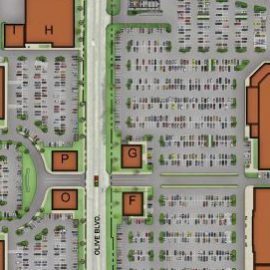 Phase II is planned to include market rate apartments and senior citizen residential complexes, retail such as restaurants, quick service food establishments, and gasoline stations/convenience stores, new car dealerships, and office and service uses. The area has been blighted by the city — designated Chapter 353 — a state statue to encourage redevelopment of blighted areas by providing real property tax abatement. 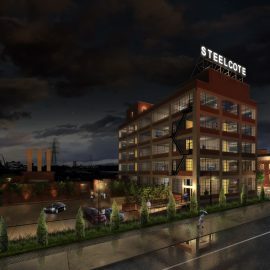 The developer is requesting 100% abatement for the first 10 years, and 50 percent for the next five years, for each portion of the area as it is developed. The abatement would include the entire 21 acres of Phase II, including a proposed Porsche dealership. 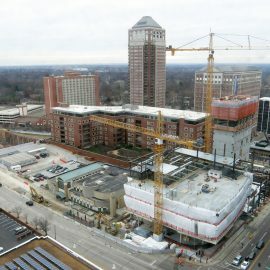 According to Doug Miner of 40 South News, the Porsche dealership will look much like the new dealerships in Atlanta. A Maserati/Fiat dealership is expected to be built at the site soon.